I’ve had a week (or two) of almost no sewing. 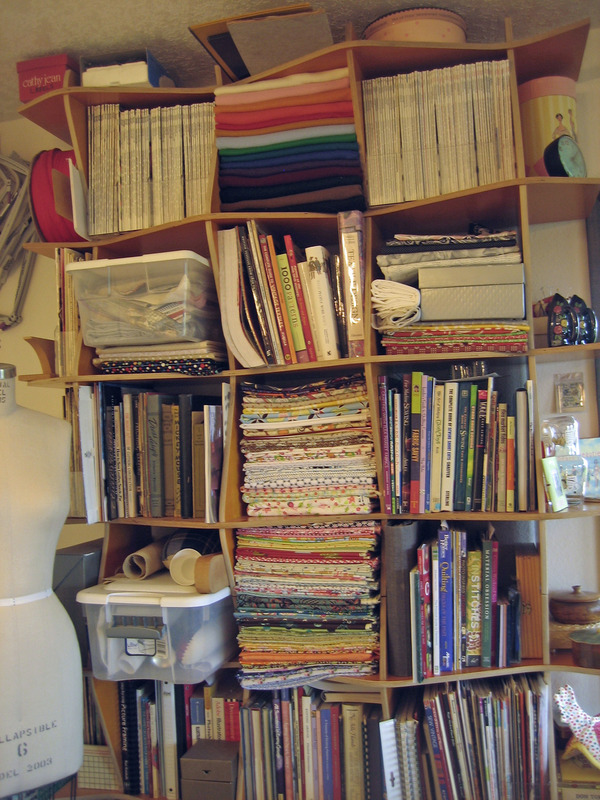 I have been in the sewing room, doing lots of rearranging and moving. Getting re-familiar with fabrics that I (sort of) forgot about and putting other pieces away. is that an empty spot or two there? Seems like that needs to happen now and again, along with a good cleaning. I do want to take my ‘wallpaper’ ( read: fabric ) off and then strip the real wallpaper off and then paint, but……………….that’s a bigger job than I want to take on right now. Maybe when the weather is a little better. Deciding what to sew next. There is all the fabric that I bought at Expo, but the weather is still rain, rain, rain. So, a spring dress or blouse isn’t a real draw right now. [As of this writing, we’re at 33.89 inches for the year. Boo. I want spring. I won’t be so greedy as to want summer, but a few days of dry weather would be idyllic] I’m wanting to start on another quilt project. For months now I’ve been thinking about somehow using an image by Charley Harper as the basis for a quilt. Then today I see that Purl is now stocking needlepoint canvas with some of his images. I have done some needlepoint, a long time ago, and I’ve no desire to do any more, so a quilt it will be. Which image? That’s to decide. 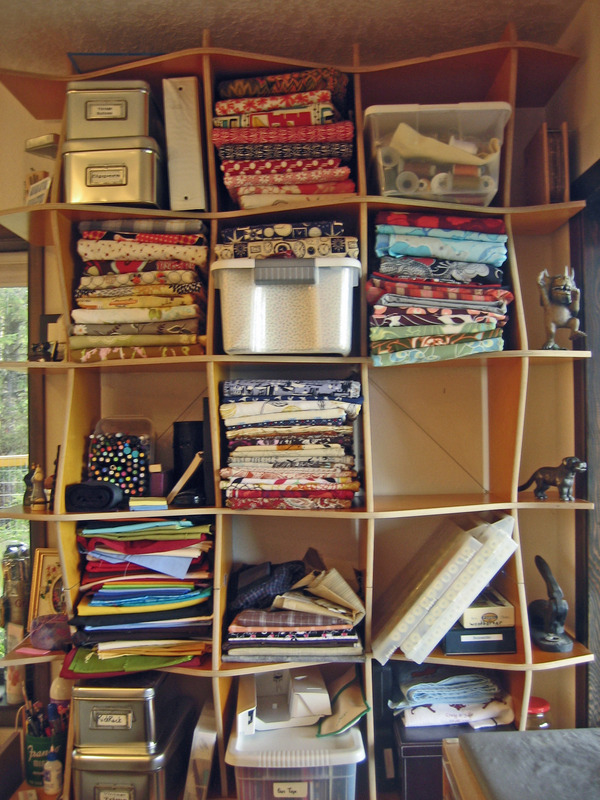 Or, perhaps its time for the big stash of silk duppioni to rise to the top of the heap and magically become a quilt. 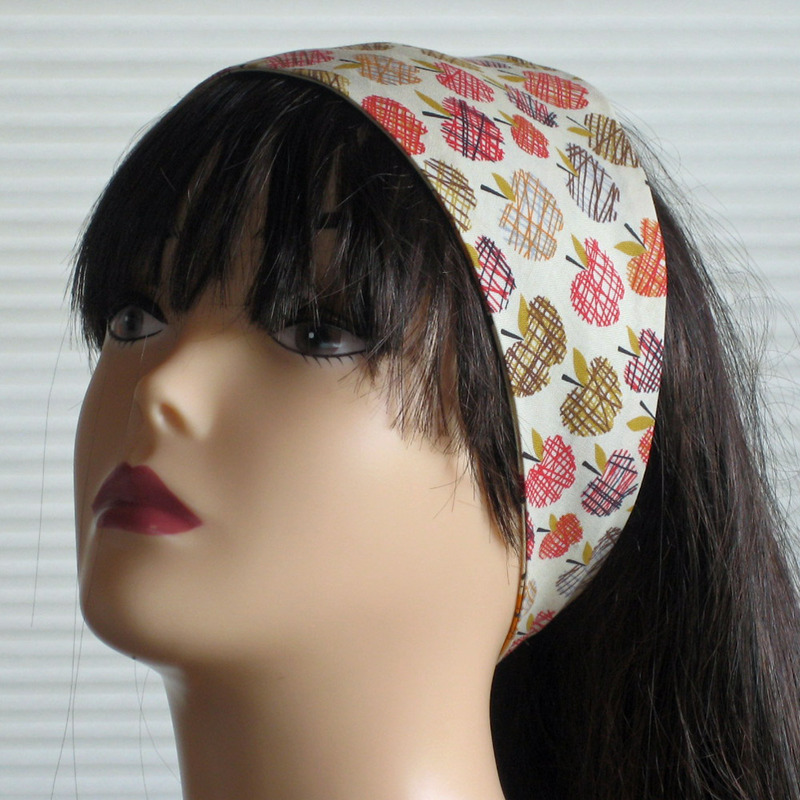 I did get a bunch of headbands listed on etsy, now that I have a ‘model’. One head + one cheap wig = __________? Maybe I should have a ‘name the model contest’. Right now I call her miss pouty-face, but I’m open to suggestions. maybe you could smile a little? So, this week it will be alterations. A blouse or two, and the beginnings of a quilt. And get a cast on the grandson, who broke his arm Friday night. I love Charlie Harpers art work! I have the Alpine Northwest poster. I bought it framed at a yard sale for under $5. You can borrow it if you want to make a quilt of it.